In the event of inclement weather, Happy Hour will be moved inside the building. Join Pioneer Works staff, artists-in-residence, and friends in our garden for happy hour. Each event spotlights a local chef or culinary organization. This month’s Happy Hour features food by Brooklyn food pioneer and Red Hook fixture the Good Fork, a cash bar, and live jazz music by Paul Wiancko. Chef Sohui Kim will serve up delectable small bites and the bar will feature classics from the restaurant’s inventive cocktail menu. 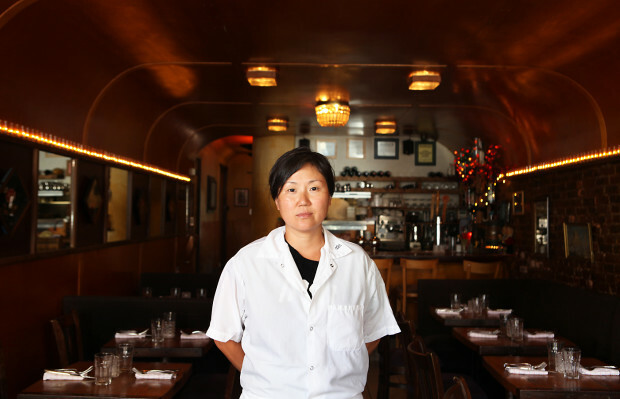 The Good Fork was built by carpenter husband Ben Schneider and is chefed by wife Sohui Kim. With its curved wood ceiling and architectural details, it feels like being inside a boat or the diner car of an old train. It boasts an eclectic, globe trotting menu that has one foot in comfort food and the other in fine dining.